If we had more marketing budget, or knew a cyclist from the LA Bike Cult, would fly a Raise Your Seat banner behind their 12-foot tall, Stoopid Tall bike. The aerial adverting would promote a ride in the sky, a story tall! Don’t know that records are kept on the tallest bike, but Felix built an 18-footer in Cuba. 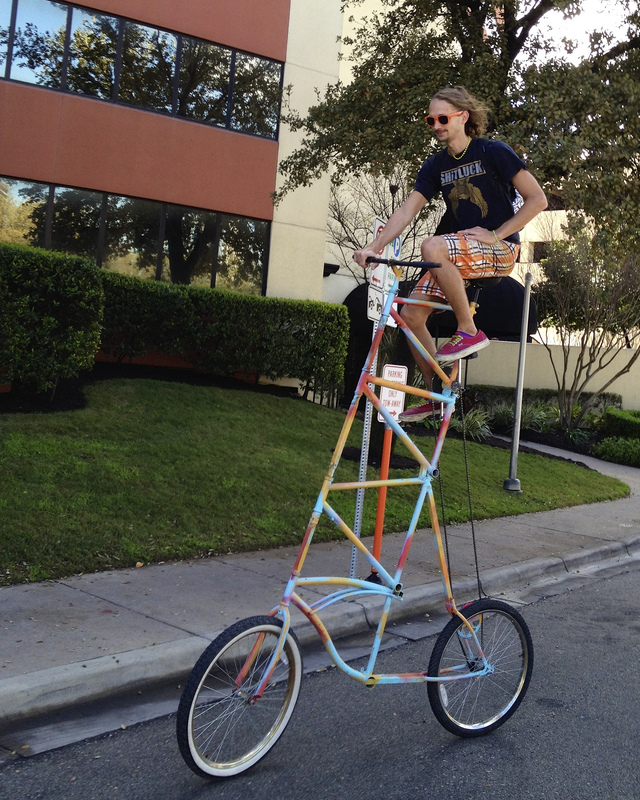 In Austin, we rode with Tall Bikes during Mobile Socials, including this quad. The Tall Bikes flanked the rides like infantry sentries spotting cars and corking intersections. 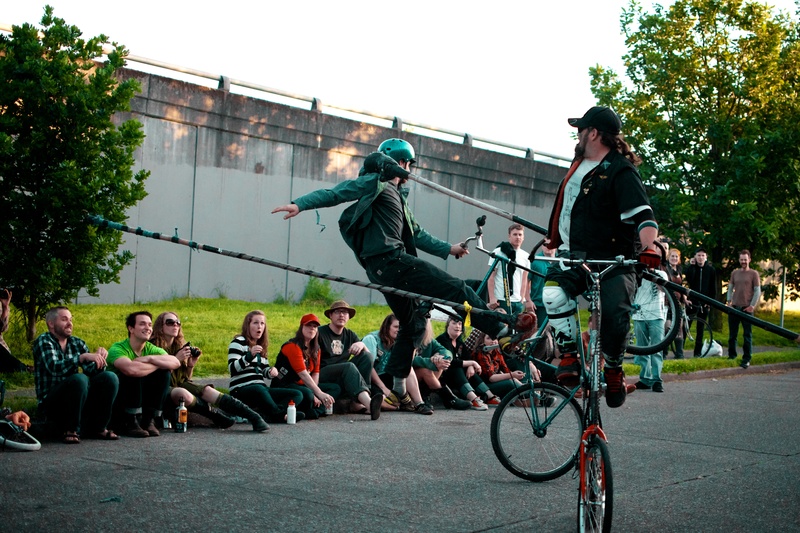 Also witnessed a joust in the Georgetown neighborhood and a chill moment with a Schwinn. What inspires a maker to build a bike taller than themselves? The same thing that causes a climber to reach the highest peak they can.